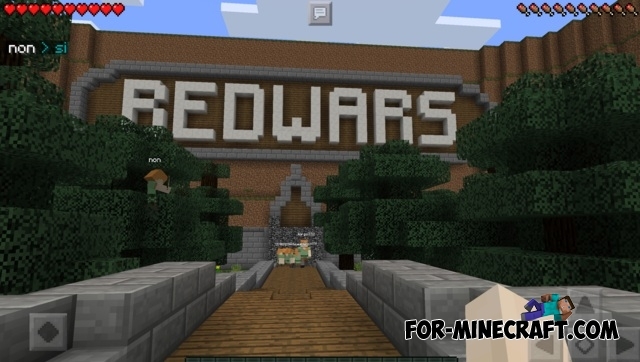 So, after the spawn you need run to the inscription «bed wars». If the sign is green, then click on it and you will find yourself in a waiting room. Experience level shows the seconds before the start of the game. 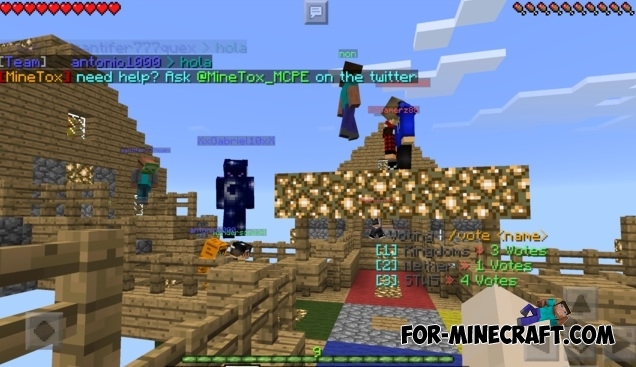 You can also trade with the villagers using iron, bronze or gold. Attention! This server is constantly full so you need to wait.